Located in the San Francisco Bay Area, Lux Collective is a highly ranked medical marijuana dispensary aimed at helping patients improve their medical condition. The company provides a few but only exclusive and top-notch cannabis strains from well-established suppliers. All flowers are organically grown and tested for mold, mildew, pesticides and harmful chemicals. 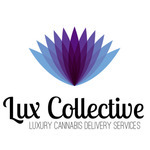 Lux collective caters to all patients regardless of their mmj usage expertise. No matter whether a customer has an extensive experience or is an absolute novice armed only with enthusiasm � the staff is always available and eager to help. The firm thoroughly checks the orders to guarantee they arrive to you undamaged and in a timely fashion. Lux Collective regularly offers promotions and secret deals � it�s worth checking out novelties before placing an order.